Sakina is a dedicated and diligent Senior Behaviour Therapist and Early Intervention Consultant with a genuine passion for making positive changes in the lives of her clients and their families. 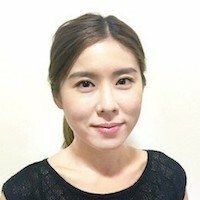 She has over 7 years of experience working with children with a wide range of emotional and behavioural difficulties in Hong Kong, New Zealand, and Australia, in both 1:1 therapy, home and school settings. Being a committed and compassionate therapist with a strong academic background and extensive experience in Applied Behaviour Analysis (ABA), Sakina draws from principles of the Early Start Denver Model (ESDM) and adopts a holistic style in her play-based therapy. She strongly believes in the value and effectiveness of Early Intensive Behavioural Intervention (EIBI) as she has seen the positive outcomes for children and their families first hand. Sakina strongly advocates the importance of family’s involvement in all aspects of therapy including goal setting and therapy planning. She ensures that all required knowledge and practical tools are provided to families through parent coaching sessions to achieve consistency and generalisation of therapy goals across all environments. Prior to joining Developmental Paediatrics, Sakina worked at one of the leading child psychology practices in Sydney’s Eastern suburbs. She continues to strive to better the learning process and welfare of the families she works with and is excited to continue pursuing her passion to one day become a Board Certified Behaviour Analyst (BCBA).